Today, the average cost of renting a one-bedroom apartment in New York City for a year is about $32,940. Anywhere else in the country, that could be a down payment on a house. But NYC is a very particular kind of beast, and just about the only thing more expensive than renting is buying. Sort of. A recent StreetEasy study by economist Grant Long pinpointed exactly how long it takes for a New York City buyer to break even on a home purchase, and depending on what neighborhood you’ve decided to call home, that so-called “tipping point” could come a lot quicker than you think. 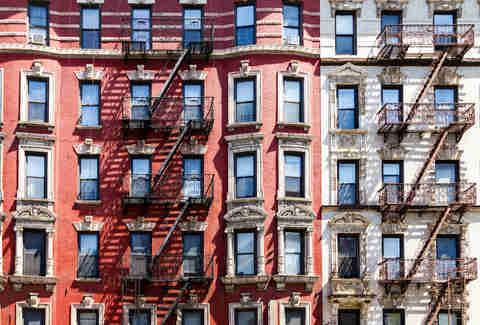 “The point in time in which the benefits of owning a home exceed the benefits of renting that same home,” Long explains, “[is] the tipping point.” And if you’ve been a renter in New York City for five years or more, you’ve probably already passed it. "You need to stay in your home for a little over five and a half years for buying to make financial sense." This year, Long places the tipping point at 5.6 years, on average, which is actually higher than the tipping point was last year -- a result of rising mortgage rates, increasing home prices, and (believe it or not) more attractive rental prices. As Long points out, there are a lot of upfront costs that come with buying a home, and hopeful homeowners may need to have considerable cash. After all, while mortgage payments may be no sweat (they’re often equivalent to rental prices), a down payment and related closing costs are pretty much inaccessible for anyone who doesn’t have a trust fund or a rare beanie baby collection. But according to Kathy Conley -- a housing specialist with GreenPath Financial Wellness and a former housing counselor -- buying a home in NYC may not be as absurd as it sounds. “If owning a home is a dream of yours,” Conley tells Thrillist, “it might be a lot easier [than you’d] expect.” Conley, who counsels potential home buyers and other housing specialists, says that by taking small, preliminary steps -- and doing your research -- can make New York City ownership so much more than a fever dream. This is how to do it. To get a feel for whether you should continue renting or start house shopping, do the math (or have someone do it for you). StreetEasy’s Interactive Tipping Point tool is a great place to start. Another helpful tipping point tool is SmartAsset’s interactive map of the United States. Zoom in on New York, and you’ll get a hyper-detailed look at every county in the Empire State. In addition to projections about how far into the future you’ll have to look to see your break-even point, SmartAsset gives information about average mortgage prices and home purchase prices. It also offers a detailed calculator that takes into consideration everything from home value and mortgage rates to ongoing expenses like maintenance and future tax savings to tell you how long you’ll need to stay in that charming Bed-Stuy brownstone you’ve been eyeing to make it worthwhile. Experts like Conley can take a fine-tooth comb to your personal finances, helping you clean up a less-than-satisfactory credit report and develop an effective savings plan. Housing counselors can help point you in the direction of down payment assistance programs that may suit your unique situation. 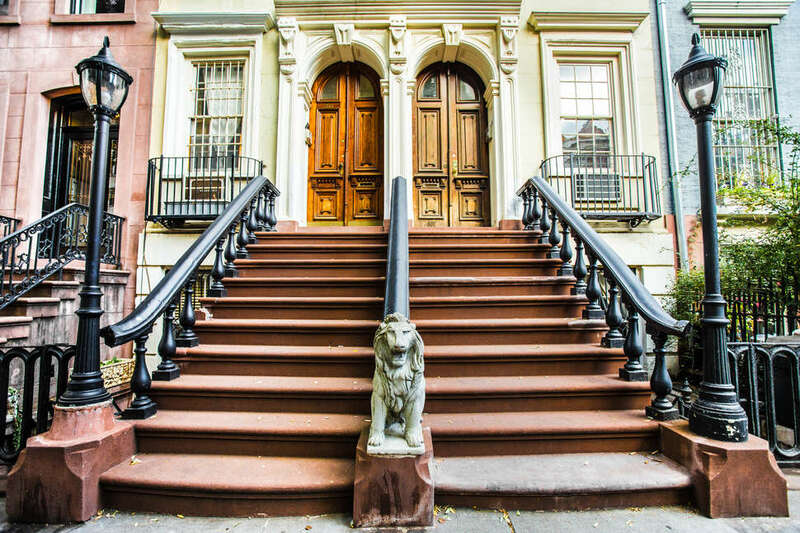 To really dig into the financial aspect of saving for, and buying a home, chat with a certified financial planner, like Kristen Euretig, CFP®, the founder and CEO of Brooklyn Plans. Both Conley and Euretig advise that New Yorkers start right away with a dedicated savings plan. “I advise clients to set up a separate savings account for their homeownership goal, and to set up an automated savings plan to add to it every month,” says Euretig. Fannie Mae HomeReady mortgage loans, for example, allow buyers to put as little as 3% down on a home. 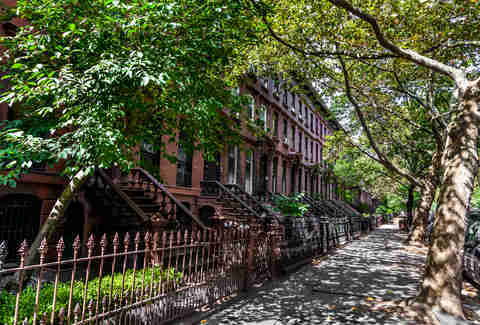 Buyers interested in homes in low-income areas (which is surprisingly common in New York City) won’t have a limit placed on their income to qualify. Homeownership education is a required part of this program. With a 5% down payment, low-income purchasers or those in a high-cost area may be eligible for a Freddie Mac Home Possible mortgage, which may not even require a credit score. The 2017 area median income is $85,900 for the New York City region this year (for a family of three), and $66,800 for an individual, according to the US Department of Housing and Urban Development. When you’re looking at the value of renting relative to the value of buying, Long tells Thrillist, neighborhoods with very high home purchase prices relative to rental prices tend to have longer tipping points. In Manhattan, for example, the tipping point is nearly eight years. But in Brooklyn, the tipping point is less than five years -- and that number gets even smaller when you consider home prices in the Bronx and Queens. In less than a year and a half, for example, New Yorkers who go from paying rent in Chelsea to owning a house uptown in Washington Heights can break even. Melanie Taryn Lieberman has rented apartments in Boston, Brooklyn, and Jersey City. After six years, she realized she could have bought a home -- a nice one, with bay windows -- with all her monthly rent payments.